The H.E.A.R.T. Program (Housing, Entrepreneurship And Readiness Training) was founded to create new opportunities for adults with developmental disabilities to achieve their potential. Click here to view an 7-minute video from our Executive Director Jane Borochoff. H.E.A.R.T. ‘s philosophy is that everyone deserves the opportunity to excel and experience the sense of pride and accomplishment that is achieved through education and employment. The H.E.A.R.T. Program therefore embraces its mission to promote structured independence for individuals with developmental disabilities by providing innovative education, training, housing and employment programs. As a program of the 501(c)(3) non-profit organization Educational Programs Inspiring Communities, Inc., The H.E.A.R.T. Program has been able to grow from an initial idea to a flourishing program serving hundreds of people since it opened its doors on February 1, 2006. Since 2006, The H.E.A.R.T. Program has provided job training and placement in vending and concessions to low income Houston adults with developmental disabilities. H.E.A.R.T. 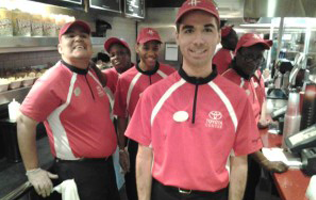 now operates over 70 vending machines in the Houston area as well as as over 150 concession events annually. In addition, H.E.A.R.T. provides the training and guidance necessary for trainees to work at all of these enterprises and earn paychecks at minimum wage or higher. In 2012, H.E.A.R.T. achieved an additional milestone when it was named the exclusive vendor of Papa John’s branded pizza at the new BBVA Compass Stadium. The program has now operated at every stadium event since the venue opened. 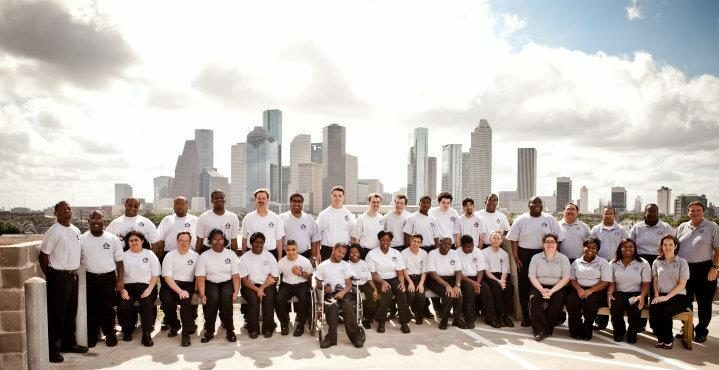 Trainees at H.E.A.R.T. operate and maintain over 70 vending machines throughout the Houston area. They participate in the entirety of the vending operations – from product inventory and restocking to cash handling and counting. H.E.A.R.T. is making a difference in the community, and people are noticing. H.E.A.R.T. has been awarded the “Mayor’s Proud Partner” Award. In 2012, The H.E.A.R.T. Program was honored with the “Leadership in Action” Award, presented by Leadership Houston. The H.E.A.R.T. Program’s mission is made possible thanks to growing support from the community including support from volunteers as well as donations. The H.E.A.R.T. Program has created an environment fosters self-confidence, employability, and the ability of trainees to realize the full potential of their capabilities.